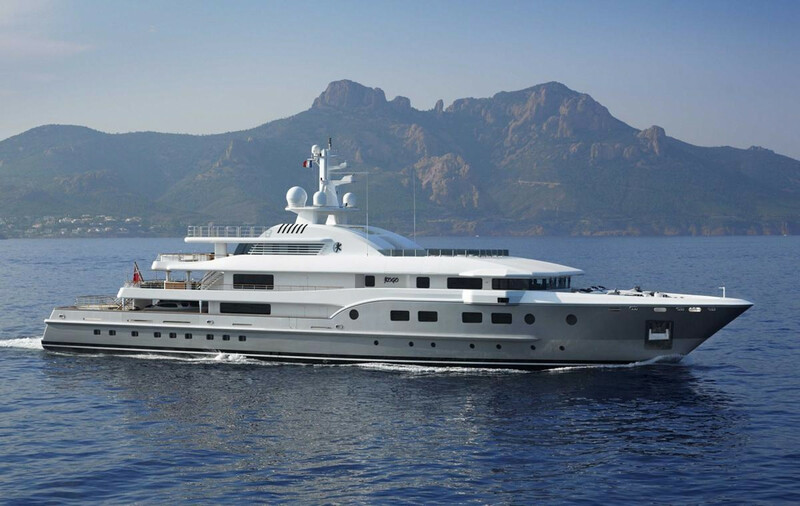 This head-turning 77.7 metre motor yacht Kogo has been listed for sale. Outdoor spaces abound and include a large aft deck with all the facilities for al fresco dining and entertaining while the sun deck offers a Jacuzzi dip pool surrounded by built-in sun beds. Her top speed is 18 knots and she boasts a maximum cruising range of 7,000 nautical miles at 12 knots with power coming from two 2,446hp ABB PMM-3-ACS600W diesel electric engines. For added comfort, she is fitted with Quantum zero speed stabilizers. Lying in Seattle, Washington, Kogo is asking €59,900,000.